Mobile loading ramps can be used for loading or unloading from zero to a height until 1000-1600 mm via forklifts and pallet trucks. 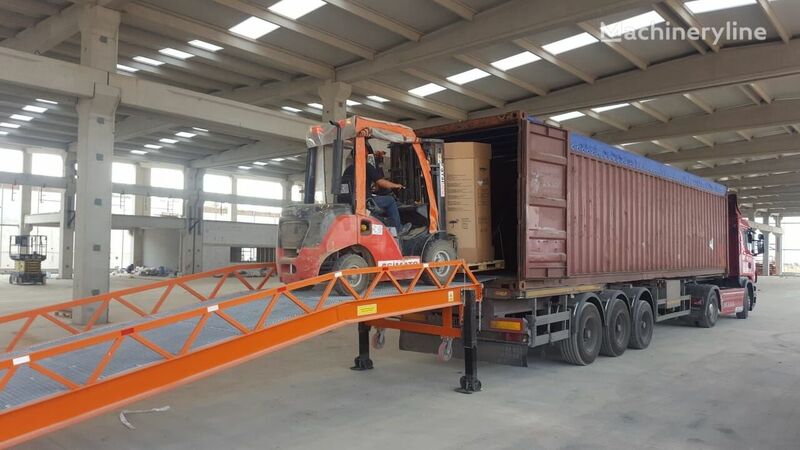 Because the mobile loading ramps are portable, their position can easily be changed according to any situation. Operation position 10510 mm, transport position 8020 mm. SAURUS YÜKLEME SİSTEMLERİ MAK. SAN. VE TİC. LTD. ŞTİ.